Jennifer Lopez along with Mario Lopez and other stars attended a Press Conference for the Boys & Girls club. Denzel Washington was the lucky one to Announce that J-Low will join as National Spokesperson for the Boys & Girls of America. 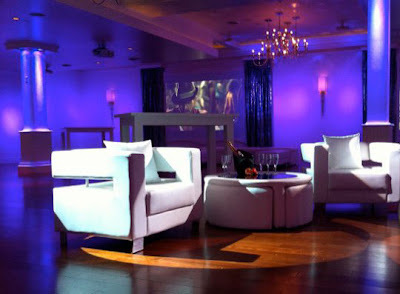 The event was held at Nokia Plaza in Los Angeles, California today. Been hit hard by the economy? Rejoice! A Holbrook, Long Island-based company just announced that it's creating almost 1000 new jobs - most of which will be right here in the New York City metropolitan area. 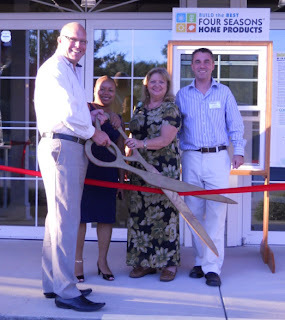 Shaun Kennedy, the CEO of Four Seasons Sunrooms and Windows, is committed to expanding his business, opening up new franchises all over the country. And this rapid rate of expansion also means beefing up the corporate headquarters and factory, which are located on Long Island. Another reason for the boost in jobs? An increased demand for the energy-smart windows manufactured exclusively by the company. With all the emphasis lately on "going green" - and with many people wanting to save a buck in any way they can - Four Seasons' eco-friendly windows are the ones people want in their homes. The 8th Annual Fight for Charity was the most successful one yet, drawing a crowd of over 1000 people who came out to watch Long Island's most prominent leaders in business - men and women - throw punches in the name of several not-for-profit organizations. The amateur fighters spent months training for the event and didn't hold back. Each year, the event raises money for a small group of carefully selected charities on the Island. 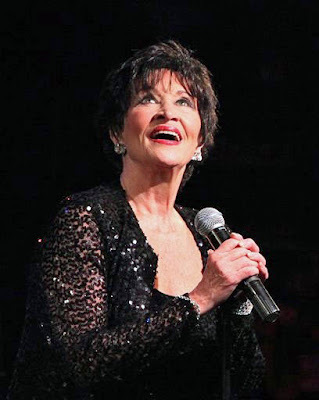 This year, the charities that were honored were: The Genesis School, Long Island Community Chest, National Foundation for Human Potential, and the Long Island chapter of the National Multiple Sclerosis Society. All of these organizations provide aid and resources to the individuals and families on Long Island who need it the most, whether they require assistance for a mental of physical disability or are in need of financial help. The United States Marine Corps were recently honored in Islandia, New York for their continued efforts to ensure the safety and well-being of Americans. More than 300 members of the USMC - young and old - and government, community and civic leaders were in attendance at the ceremony. Actress and model Cathy Rankin, who has raised thousands of dollars for the troops, was on hand to sign and give away her 2011 calendar, which features shots of her inspired by legendary pin-up girls like Rita Hayworth and Betty Grable. Awards were distributed to veterans honoring them for their distinguished service. 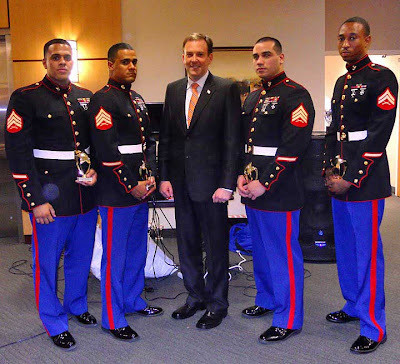 Newly-elected New York State Senator Lee Zeldin and Suffolk County Legislator Dennis Dunne (both veterans themselves) were also recognized, as was David Zere, the founder of the American Patriot Heroes Fund. The evening's host was Joe Perri, President of Gold Coast Bank. Tori Spelling was spotted out and about at The Grove in Los Angeles, California yesterday. Tori really looks great in this outfit. Bobby Cannavale along with Will Chase and other Broadway stars were snapped recently during the limited ENCORES! 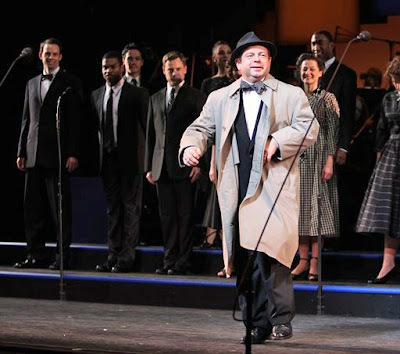 Production Curtain Call for "Bells Are Ringing" in New York City. 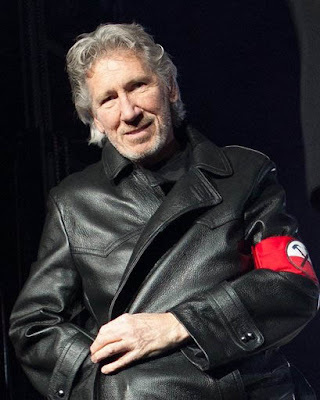 Photos By: Walter McBride/Retna Ltd.
Roger Waters performed Pink Floyd's 'THE WALL' Live at the MGM Grand Garden Arena in Las Vegas, Nevada the other day. Jim Liu is positioned to become the next big name in golf. At age fourteen, he became the youngest person ever to win the prestigious U.S. Junior Amateur Championship - a record previously held by Tiger Woods. Originally hailing from Smithtown, New York, Liu frequents at Heartland Golf Park in Edgewood and can be seen practicing there several times a week. 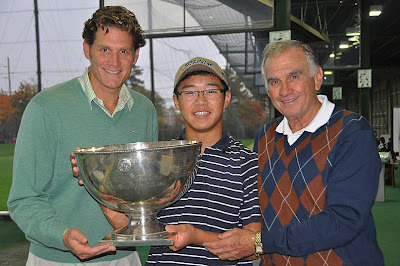 David and Jerry Wolkoff, Heartland's owners, recently honored Liu's outstanding achievement at the golf park and created a tribute video for him, which can be viewed here. Jim Liu is definitely one to watch as the next big golf talent. To be named a U.S. Junior Amateur Champion is considered a harbinger of success, and Liu shares the title with the world's most famous golfers. For those who want to watch the young prodigy in action, he can often be found at Heartland Golf Park. Good hearted Holly Madison, Star of PEEPSHOW, donated blankets at The Las Vegas Rescue Mission in Las Vegas, Nevada the other day. Joe Perri, President of Gold Coast Bank, has become a guest commentator on Fox Business News, making appearances on "America's Nightly Scoreboard" and "Bulls and Bears." Mr. Perri currently resides as President and CEO of Long Island's Gold Coast Bank, which has locations in Islandia and Huntington. He has been frequently been appearing on Fox Business News as a single guest or as part of a panel to relay his experiences operating a small bank, to discuss the challenges that have arisen as a result of the economy, and to offer his ideas for solutions. 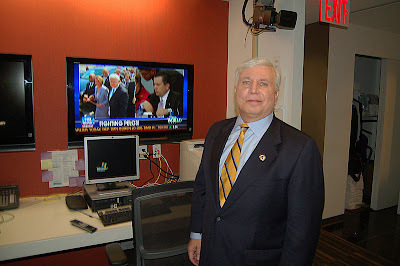 To watch clips of Mr. Perri's recent appearances on Fox Business News, please visit their website. If you would like to subscribe to the mailing list and receive notifications of his upcoming appearances, please email goldcoastbank@gmail.com. Blair Underwood along with Kurt And Anne Douglas, Amber Stevens, Kat Graham, Antonio Villaraigosa, Kaycee Stroh and others attended the Los Angeles Mission feeds the Homeless for Thanksgiving in Los Angeles, California over the holidays. 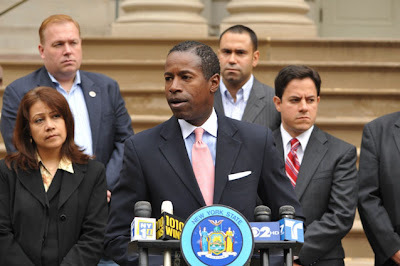 Senate President Pro Tempore Malcolm A. Smith recently took to the steps of City Hall to announce a new law, slated to take effect on January 1, 2011. The law, signed by Governor Paterson, protects the rights of women diagnosed with breast cancer. It mandates that all women, upon diagnosis, be made fully aware of their options for reconstructive surgery, regardless of age, race, or economic status. Personally, we think this law is a huge positive step for those diagnosed with cancer. Everyone, regardless of who he or she is, should be completely informed of his or her medical options. We commend Governor Paterson for signing the law and hope similar laws are passed to protect the rights of those afflicted with other types of cancer and other diseases. Jersey Shore's Jenni 'JWoww' Farley and her boyfriend Roger Matthews host an evening at Studio 54 nightclub at the MGM Grand in Las Vegas, Nevada the other night. Leslie Nielsen, the dramatic lead in "Forbidden Planet" and "The Poseidon Adventure" and the bumbling detective in "The Naked Gun" hit movie franchises, died yesterday in Fort Lauderdale, Fla. He was 84 years old. 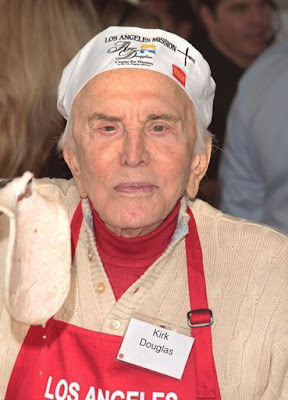 The native Canadian died from complications from pneumonia at a hospital near his home, surrounded by his wife, Barbaree, and friends, his agent John S. Kelly said in a statement released to the media. 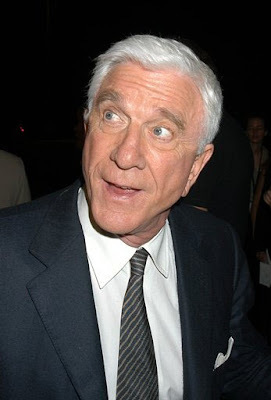 "We are saddened by the passing of beloved actor Leslie Nielsen, probably best remembered as Lt. Frank Drebin in 'The Naked Gun' series of pictures, but who enjoyed a more than 60-year career in motion pictures and television," said Kelly.